There are times when getting away for a sustained amount of time to pray is necessary and Jesus models this in Luke. 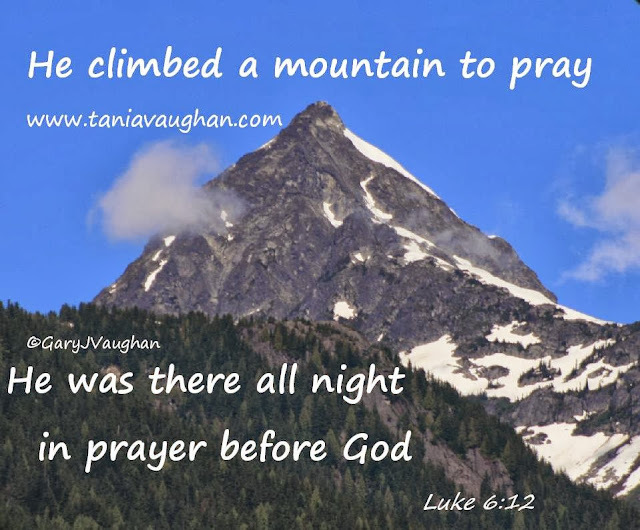 In Luke 6 Jesus takes himself right away, he went to the mountainside alone to pray and he stayed all night. It’s not just the five minutes at the beginning of the day to take time alone with God, to place our day before him but sustained time. It is a time to seek his face, his will for our lives and to give time to listening. If Jesus stayed all night I can’t imagine he spent the whole time laying out his requests, or spent the whole time talking, he must have spent a good proportion of that time listening for God’s voice and direction. This time on the mountain side, was just before Jesus chose the twelve disciples, the time he spent seeking God seemed to relate directly to the importance of the decisions to be made. On the Mount of Olives in the garden of Gethsemane in Matthew 26:36-46, Jesus quite possibly prayed for at least 3 hours. When he first moves away from the disciples to pray for God’s will he actually says on his return “could you men not keep watch with me for one hour?” (verse 40) this happened three times in total and we are told he prayed the same thing each time so it’s reasonable to assume that each time he prayed for about the same amount of time. He did not rush as he was seeking God’s will for his life and he took time to listen for God’s voice. 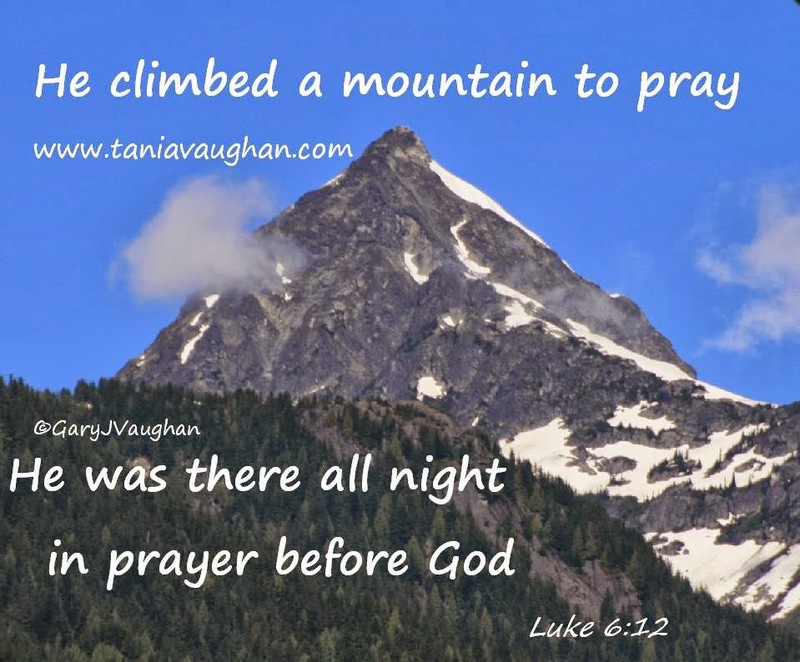 Jesus not only models sustained prayer but instructs us to be persistent in prayer. This is most evident in Luke 18:1. It says that Jesus was telling them the parable so show them that they should always pray and not give up. I am challenged by the reasoning in this parable, the judge finally answers the widow because he get’s fed up with her persistence. I can’t imagine my loving God getting fed up with me, but then maybe I am not so persistent in my prayers that he would have a need to, maybe I give up too easily. Great post, as always :) thank you. Prayer = relationship doesn't it. If we can have an attitude of prayer throughout our day, the more we will know our Lord, become more aware of His presence and His will, and be filled with His peace, and joy.